The best fantasy-drama series from the HBO network is the Game of Thrones. It has been quoted as the most popular TV show right now. It is favorite among fans for its wars, politics, murders, raw sexuality and beautiful queens. To this date, this serial has 6 seasons and total of 60 episodes. Is Game of Thrones on Netflix and if not why not? For those not aware, Game of Thrones is an adaptation of an epic novel A Song of Ice and Fire written by George R. R. Martin. The first novel of this series named “A Game of Thrones” was released in 1996. 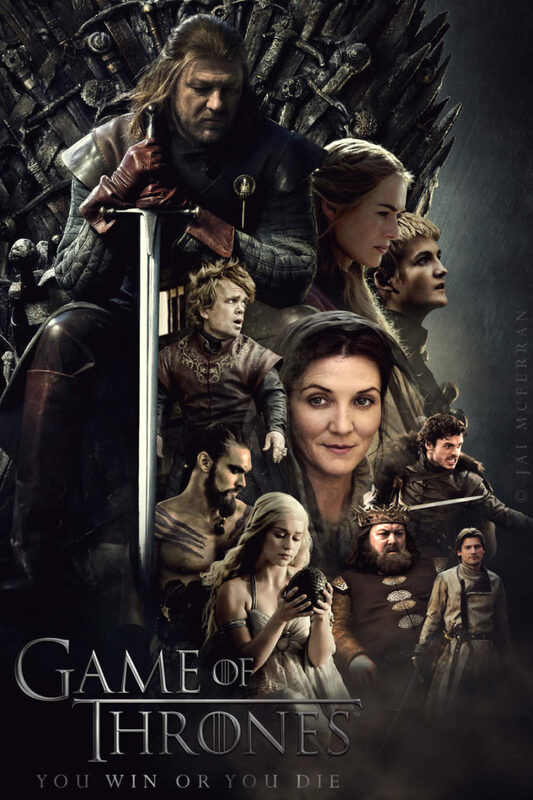 While the first episode of “Game of Thrones” TV series came in 2011. Nobel families and their kings fight each other for power. Friends, enemies, traitors, warriors, politicians; it has everything you could imagine. When a king dies, his successors continues his fight and take revenge. The politics, art of persuasion and war tricks shown in this series are fantastic. This series has won many awards. Mainly for its acting, environment and directing. This series has won 1 Golden Globe in 2012 and 12 Emmy Awards in 2015 alone. In total, the series has won 183 award wins and 307 nominations. It is also #4 Top rated TV show in IMDB. 7th season is expected to come out in 2017. We have high expectations from this season, stay tuned! Game of Thrones Series is not available on Netflix Instant. Why Game of Thrones is Not on Netflix? You are not only the one who’s waiting for Game of Thrones to come on Netflix. There are million… others. Game of Thrones is produced by the HBO network. It has its own cable subscription plan HBO Go and online streaming service HBO Now. Its business model is similar to Netflix. It means HBO is direct competitor of Netflix. Netflix does not broadcast HBO shows and HBO does not broadcast Netflix shows. And, for Netflix to buy a popular show, it has to pay a lot. And, if HBO makes the show available on Netflix, then why would someone buy HBO Go or HBO Now subscription? It might lose its customers to Netflix and may get out of business. So, no chance for Game of Thrones on Netflix any soon. So, Game of Thrones is Not on Netflix? Yes, it is! Good News? Yeah! It so happens that HBO won’t give Netflix rights to broadcast this show on Netflix Instant. But, Netflix has made the show available on DVDs which you can rent to watch. First 5 seasons are available to rent for just $4.99 a month. Game of Thrones Season 6 has just ended on June 26, 2016 and Season 7 will be live next year. The only option you have is to buy a HBO subscription. Here is the Wikipedia article about Game of Thrones. We hope this article helped you with your question. Have more questions? What are your thoughts about this show? Feel free to leave comments below.